We love your gut, but it’s time to branch out. 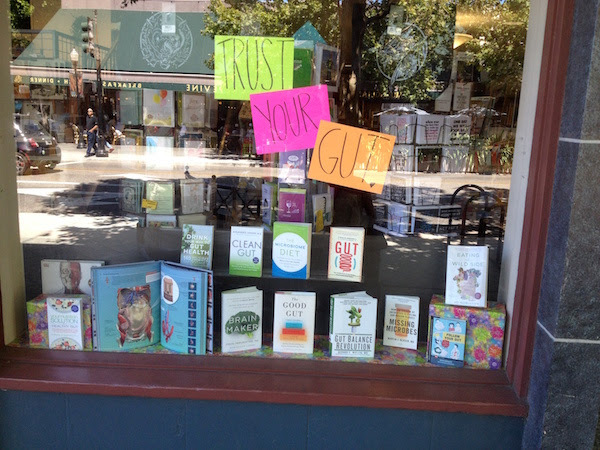 A bookstore window in Mountain View, California this past week. Gut bacteria are everywhere! Maybe you’ve tested your gut bacteria with uBiome already. Or maybe something has changed in your life since you last tested: say your diet, health, or supplements. Here’s your chance to see what’s different about your gut, and also learn about your mouth, nose, skin, and genital microbiomes at the same time. Today only, a 5-site microbiome testing kit is $89 instead of the usual $399. Use discount code 5FOR1PARTY when you checkout at ubiome.com (by midnight). It’s a great way to start the weekend and take good care of your amazing self.